Walter E. Menck joined the firm in 2007. Since then, his title insurance and construction litigation practice in support of lead counsel William L. Miltner continues to flourish. He focuses on handling matters involving boundary disputes, mechanic’s liens and construction defects litigation. Walter E. Menck has assisted clients with title insurance, intellectual property, employment and consumer law issues. Mr. Menck specializes in all phases of litigation with a primary focus in law and motion. His aggressive style facilitates case resolution through discovery, depositions and alternative methods of dispute resolution. Mr. Menck possesses extensive experience trying and litigating general civil actions. 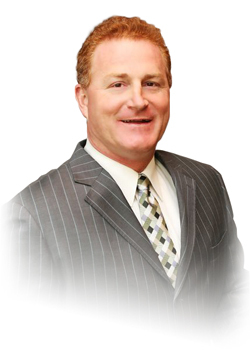 During his 20 years of practice, Mr. Menck has tried over 30 cases in San Diego, Orange and Los Angeles Counties. His representations have grossed his clients in excess of $30 million. Mr. Menck has enjoyed tremendous success in positioning claimants in multi-billion dollar federal class action lawsuits. His participation in copyright infringement and intellectual property lawsuits assured rights and financial recovery beyond the client’s expectations. Mr. Menck’s recent participation in an employment litigation lawsuit yielded a tremendous result for the client. Mr. Menck was born in La Jolla and raised in Los Angeles, California. He attended the University of California, Los Angeles, where he obtained a Bachelor of Arts Degree in English. He graduated from University of San Diego School of Law with a Juris Doctorate in Law. Prior to joining the firm, he owned and operated a successful solo practice. He also worked in-house with a nationally significant construction company. B.A., English, University of California Los Angeles. J.D., University of San Diego School of Law.